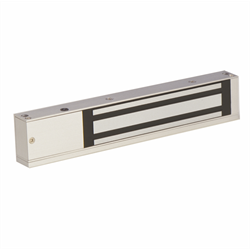 The Camden CX-91S-06 is a single door mag lock with a holding force of 600 lbs. It can be surface mounted and the 600lb models are UL and CUL listed. It has been proven to be weather and vandal resistant over thousands of installations. **300 lbs and 1200 lbs models are available.